Dr.R. 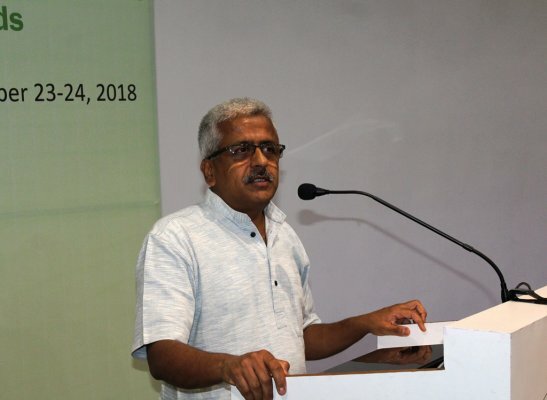 Balasubramaniam, Founder & Chairman, GRAAM, Mysore inaugurated the two-day International Conference on “Economic Growth and Sustainable Development: Emerging Trends” on November 23, 2018 and delivered keynote address to the conference delegates. He drew up the threats and challenges to sustainable development and opined that, ecological crisis, societal crisis and crisis of self are the barriers to inclusive sustainability. Wealth pursues wealthy due to the current development strategies, said Dr.Balasubramaniam.